Royal Catering will organise any kind of event for you, from weddings to coffee-breaks, from vernissage to birthday parties or any form of refreshment or meal that you may have possibly thought of to cater your event. We allow you to choose from a range of menus which will be tailored to your requirements: We have classical or traditional menus or even more alternative ones, or simply just finger food all depending on what you want. All our products are carefully chosen, in season and cooked directly on spot by our chef. 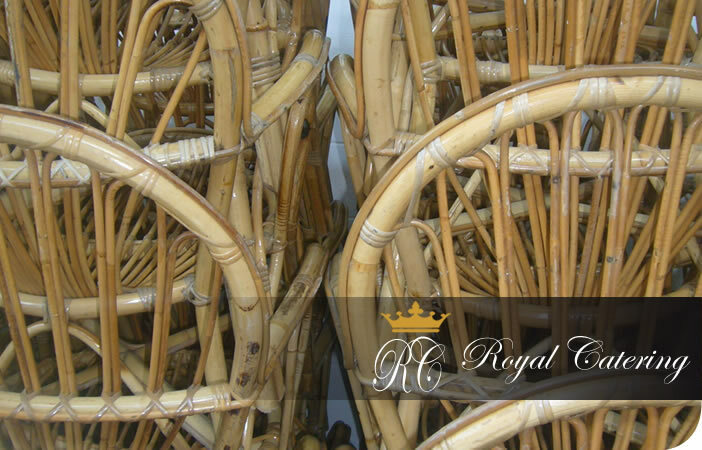 Royal Catering simply believes in doing a good job, artistically, with top quality and in style. Guest feedback has systematically been more than just satisfactory and it is in our interest to keep our reputation up. This is fundamental of course. Royal Catering offers a large variety of menus ranging from the more classical menus to the more personalised menus. We leave it up to you to choose the number of servings and kind of menu you like. We do not have our menus online for privacy means and therefore send them directly to the client according to the time of year. Please just send us an email if you would like to have a sample. All the products are fresh and carefully chosen by our chef who usually prepares his dishes according to the seasons. However this will depend on what you choose of course. We have our kitchens based in Monteriggioni but most food is prepared on spot. For any vegetarian, vegan, pescatarian or cultural requirements there is absolutely no problem, we just need to agree on an alternative menu and need to be notified on numbers a few days beforehand.